All year long, researchers at hospitals around the world collect samples from flu patients and send them to top virology experts with one goal: to design the vaccine for the next flu season. But why do we need a new one every year? Vaccines for diseases like mumps and rubella offer a lifetime of protection with two shots early in life; what’s so special about the flu? Melvin Sanicas explains. Lesson by Melvin Sanicas, directed by Andrew Foerster. wishing you a holiday so jolly! Learn how early and struggling readers can bond with pets and shelter animals, while practicing reading without any judgment. 1. Motivation: If you were a child who was told you could pick any book to read aloud without your mistakes being corrected, your motivation to read would jump up a few notches. That's exactly what happens when we provide the opportunity for kids to practice reading to animals. Often children will bond with the animal they are reading to and be motivated to visit that animal over and over again to read aloud. 2. Confidence: Struggling and reluctant readers often lack confidence when reading, especially when reading aloud. When a child reads to an animal, there is no judgment. A child can stumble through a word, read at a choppy rate, or take an extended amount of time to read a passage. The animal remains a consistent listening companion. Over time, a child will begin to feel more comfortable reading aloud, thus building reading confidence. 3. Fluency: Reading fluency, including reading speed and phrasing, improves with reading aloud and practicing the same material over and over. Animals don't mind if a child reads Go, Dog, Go! by P.D. Eastman twenty times. This safe listening environment provides opportunities for kids to rack up lots of practice time. 4. Reading for a Purpose: The benefits of reading to animals isn't just for the children. Animals are also helped from the attention they receive. It gives kids a sense of purpose when they sense the animals are benefiting from their kindness and attention through the act of reading. Pets: If you have a family pet, then your child has a built-in reading partner every day of the week. Dogs, cats, hamsters, fish, and birds all make good listening partners. A neighbor or an outside family member's pet can also work if you don't have your own. Shelter Animals: There are many animals who spend long days in small spaces with limited human interaction. Shelters like your local Humane Society allow kids to read to the animals. Check with a local shelter near you for availability, hours, and other requirements. Service Animals: Check your local library for reading to animal programs. Many have select days during the month that service animals visit the library. Your child can sign up for a time slot to read to an animal. The service animals are specially trained to sit or lay still next to the child during their reading session. Stuffed Animals: Perhaps your child has pet allergies and reading to a live pet just isn't in the cards. A stuffed animal friend can serve the same role. Little ones especially love to read to their favorite stuffie. 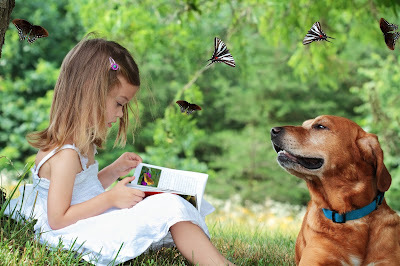 Have your young or struggling reader give reading to an animal a try. You will be pleased to see your child's love of reading — and your animal's — flourish. Raising happy, healthy, and self-confident children is a much more difficult job than it seems. In this video, I'll use information I've gathered from years of research to explain the best ways to ensure your children grow up healthy, happy and full of confidence. Schools still aren’t devoting enough resources to this critical subject, but you can bring science to life with these hands-on ideas. My three kids are natural-born scientists. They’re full of questions, always experimenting to see how things work, and mesmerized by watching a tiny ant carrying a morsel of food. So when my daughter, Stella, started kindergarten, I was shocked to hear that her class studies science for only one hour each week. When I searched for stats to make the case that this wasn’t as much as other schools, I pretty much came up empty. Surveys show that science instruction in elementary schools averages around two hours per week, and in some districts it isn’t taught at all until middle school. 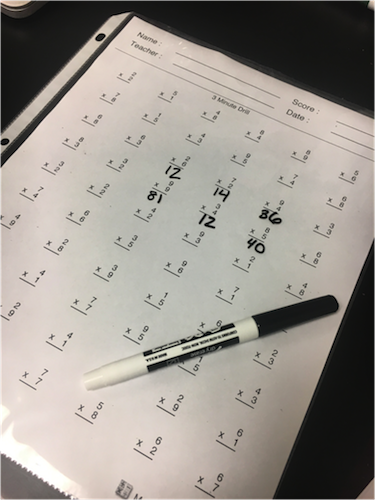 “The intense focus on math and reading in recent years has crowded biology, chemistry, and physics out of the grade-school classroom,” says Janice Earle, former program officer at the National Science Foundation. Even when these subjects are taught, teachers tend to have little training and lack the resources to lead experiments, which are crucial for sparking interest in science. No wonder only about a third of fourth-graders have a solid grasp of scientific principles, according to the most recent national assessment. If that doesn’t concern you, it should. A report by the President’s Council of Advisors on Science and Technology found that we need to increase the number of students who receive science-related college degrees by 34 percent annually during the next decade simply to keep up with economic demand. Encourage your child’s teachers and principal, as well as district leaders, to add more science instruction to the curriculum. Since budgets are likely to be an obstacle, you’ll boost the odds of success if you can offer a solution that’s cheap—or, even better, free. Maybe you can find a geologist who’s willing to lead field trips, or organize parent volunteers to help run workshops. If lobbying and organizing aren’t your style, there are still plenty of ways to inspire your own child to fall in love with science. Follow these steps to help unlock her inner Madame Curie. Three out of four Nobel Prize winners in science discovered their passion outside a school environment, according to an analysis published in Education Week. So seek out extracurricular activities with a focus on scientific exploration. Many elementary schools offer afterschool opportunities to delve into subjects such as robotics and forensics. 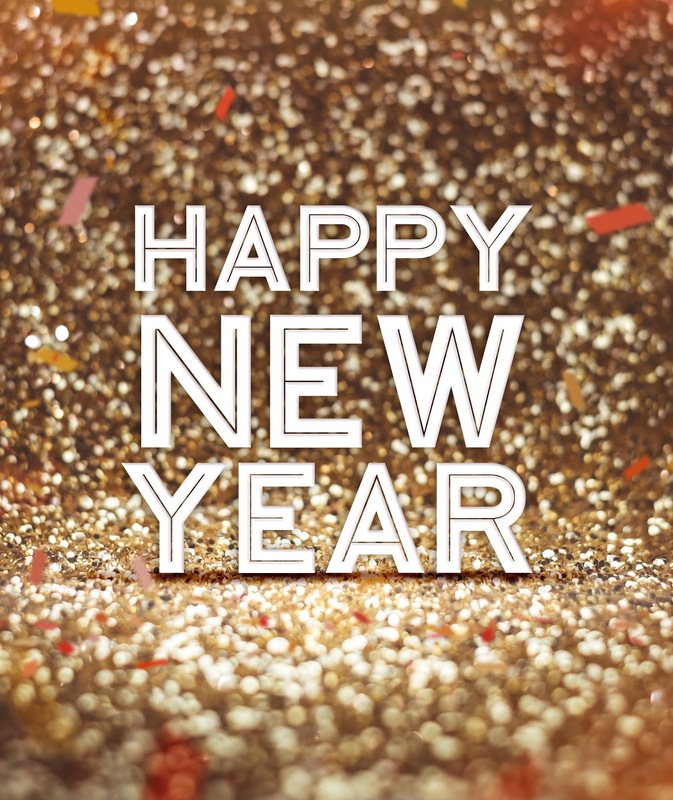 Check out the offerings at your local YMCA, 4-H organization, or recreation center. Coding classes and clubs are also sprouting up around the country as educators and parents realize that coding promotes analysis, problem solving, and creativity. If you can’t find anything near you, consider doing it yourself. That’s what Ana Mosser did. An environmental engineer, she approached the after-school coordinator at her son’s school in Thermopolis, Wyoming, who invited her to run a science club. “I’d go online and find experiments,” she says. The club wound up being so popular that the school district made Mosser’s workshops a regular part of the curriculum. Angry Birds won’t help your kid win a future science fair, but Minecraft might. That’s because this wildly popular game has helped spark grade-schoolers’ interest in the science of coding. Minecraft lets them customize complex worlds using virtual building blocks, while educational add-ons called “mods” help them learn programming basics as they play. To fight the false impression that science is boring or strictly for brainiacs, remind your child that she uses it daily. Baking is a lesson in chemistry, building with blocks involves physics, and asking questions—every child’s favorite thing to do—is exactly what leads to scientific breakthroughs. While studies show that about as many girls as boys have a positive attitude toward science in elementary school, boys are twice as likely to be interested in technology, science, and math by eighth grade. “If you have a daughter, encourage her to learn about dinosaurs and tinker with computers,” says Carol Tang, Ph.D., executive director of the Children’s Creativity Museum, in San Francisco. Introduce your kid to engineers, doctors, and biologists too. It may happen naturally (“Did you know that Olivia’s mom is a veterinarian? She can tell you all about her job”). If not, invite a bona fide scientist to lead a fun activity with your child’s Brownie or Cub Scout troop. My family has a tradition called “Sunday Science.” Every week, we do a different experiment, whether it’s using balloon rockets to explain the concept of thrust or going outside and (carefully, wearing goggles!) turning a bottle of cola into a foaming geyser by dropping in Mentos mints. Each experiment takes only about 15 minutes to complete, the kids love it, and I’ve got to admit: My husband and I have a great time too. Lesson by Federico Rosei and Renzo Rosei, directed by Giulia Martinelli. Use these small tweaks to inspire rather than incite your child when it comes to homework. What makes a good horror story? Hideous monsters and fountains of blood might seem like a good place to start, but as horror author H.P. Lovecraft wrote, “The oldest and strongest kind of fear is fear of the unknown.” Writers harness that fear not by revealing horrors, but by leaving the audience hanging in a state of suspense. Victoria Smith gives some tips for adding suspense to your writing. Lesson by Victoria Smith, directed by Silvia Prietov. Here's a language refresher on homophones: words that sound alike but are spelled differently. Our Raise a Reader blog has been doing some grammar celebrating this month, and we're seriously having a blast. We are hearing that in order to raise strong readers and writers, parents could really benefit from some quick language refreshers themselves. And we totally get it. Some of the nuances of the English language are enough to make a person go batty. 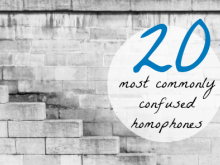 So we thought we'd cover the top 20 most commonly confused homophones. Homophones are words that sound alike but are spelled differently, and there are some that get me every time. Please note that the following scenarios are the most commonly used cases; as is quite common in our language, there are always exceptions! Use affect to indicate influence: The medicine did not affect her the way the doctor had hoped. Use than for comparisons: John is much taller than his brother. Use then to indicate passage of time, or when: We went to the park in the morning, and then we left to pick up lunch. Use which as a pronoun when referring to things or animals: Cora wore her favorite pink shoes, which she received as a birthday gift. Use witch to mean a scary or nasty person: The Halloween witch decorations must finally come down off of the wall! Use here as an adverb to indicate location: Please come back here and put your shoes away! Use hear as a verb to indicate listening: Can you hear the birds' beautiful singing outside? Are is a verb in present tense, a form of the verb "to be." We are staying at the hotel closest to the stadium. Our is an adjective, the plural possessive form of we. They will bring our keys to the hotel lobby. Use buy when purchasing an item: I do need to buy new shoes for the kids. Use by as a preposition to indicate location: Please put the sandwiches by the door so we don't forget them! Use accept as a verb to mean receive: The organization will accept donations through the first of the month. Use except as a preposition to mean exclude: You may donate all items except car seats and cribs. Use weather when referring to the state of the atmosphere: The constantly changing springtime weather is driving us crazy. Use whether as a conjunction to introduce choices: Please tell us whether you would prefer steak or salmon for dinner. They're going to have practice immediately after school today. To can be a preposition. We're going to the park. To can indicate an infinitive when it precedes a verb. We want to help in any way we can. Too is an adverb that can mean excessively when it precedes an adjective or adverb. I ate too much ice cream for dessert. Too is a synonym for also. I ate too much ice cream for dessert, too. Marcy ate two pieces of pie. I have two books I'd like to read. Use bear when referring to the large mammal or to indicate the act of holding or supporting: How did that brown bear open the security gate at the campsite? | The wagon can hardly bear the weight of the load. Use bare as an adjective indicating lack of clothing or adornment: His bare neck burned in the direct sunlight. Use one when referring to a single unit or thing: I have one more muffin left before the box is empty. Use won as the past tense form of the verb "to win": Shelly's team won the tournament and celebrated with ice-cream sundaes! Use brake as a verb meaning to stop or as a noun when referring to a device used to stop or slow motion: The bike's brake failed, which is why he toppled town the hill. 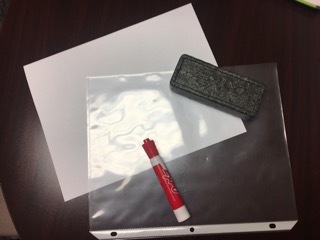 Use break to indicate smashing or shattering or to take a recess: My back will break if we put one more thing in this backpack. OR Use break as a noun to indicate a rest or pause: We took a water break after our first set of drills because it was so hot outside. Use complement when referring to something that enhances or completes: The cranberry sauce is a perfect complement to the turkey dinner. Use compliment as an expression of praise: I was pleased to have received so many compliments on my new dress and shoes today. Use aloud when referring to something said out loud: Reading aloud –and doing it well–is a skill that requires much practice. Use allowed when referring to something permitted: Dogs are not allowed to be on school property between 2:45-4pm. Use lie to indicate the act of reclining: I am tired just watching the dog lie in the warm sunlight. Use lay to indicate the placement of something: Please lay the paper on the table. Use capital when referring to a city, a wealth or resources, or an uppercase letter: The capital of Maryland is the gorgeous city of Annapolis. Use capitol when referring to a building where lawmakers meet: The capitol has undergone extensive renovations this year. Use principle as a noun meaning a basic truth or law: Many important life principles are learned in kindergarten. 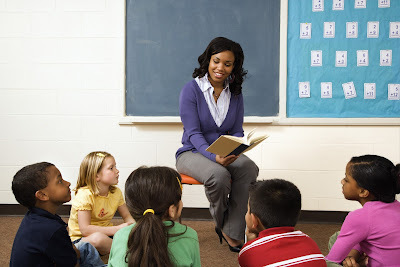 Use principal as a noun meaning the head of a school or organization, or a sum of money: The principal is a well-respected member of the community because of the hard work and effort she puts forth in her position. Hunger claws at your belly. It tugs at your intestines, which begin to writhe, aching to be fed. Being hungry generates a powerful and often unpleasant physical sensation that’s almost impossible to ignore. After you’ve reacted by gorging on your morning pancakes, you start to experience an opposing force: fullness. But how does your body actually know when you’re full? Hilary Coller explains. Lesson by Hilary Coller, directed by Sashko Danylenko. After you’ve decided to seek help, what’s next? "Your child could be tired," says Hirsh-Pasek. "Maybe he needs to go to sleep earlier, and you need to better enforce bedtime rules. Maybe he's not doing well because he's being dragged down by having too many high-fat snacks or fast-food meals. Or maybe he can't complete his homework because he's overscheduled and exhausted from too many extracurricular activities." Talk to your child as well as his teacher or guidance counselor for their perception of the problem. Does he hand in homework assignments on time? Does he fidget in class or lose focus when the teacher talks? Does he seem unhappy or uninterested in school in general? Is his behavior disruptive in class? Lack of motivation or acting-out behaviors may be a sign that a child is having difficulty either understanding or processing information. Sometimes simply moving a child to a smaller class can make a difference. If that is not possible, ask if he can move his seat to the front row right near the teacher, which may prevent his attention from wandering. Once you've decided to find tutoring help, you need to determine what form it should take. Some children feel more comfortable working privately with a tutor in their own home; others are motivated by the dynamics of a small group and concentrate more easily when they are away from the distractions at home. They might benefit from a study group or supplemental class at a learning center. Also ask yourself: Does my child do better with men or women? Does he need lots of nurturing or a firm hand? Whether you decide that a once-a-week meeting with a homework helper (say, an older student or moonlighting teacher) is sufficient, or that intensive remediation makes more sense, keep in mind that tutoring is only as good as the person who does it. Check with your child's teacher, the school office, and other parents for names of qualified tutors. Schools may have a list of tutors who work regularly with students, and may even be familiar with the teachers and course curriculum. Your school may also offer some sort of academic help — before, during, or after school. Meet the tutor or visit the learning center with your child so he feels a part of the process and you can see if there's a rapport between him and the tutor. Sit in on one or two sessions to be sure. Since anyone can advertise in the local newspaper that he's a tutor, check credentials. Your tutor should not only be knowledgeable in the subject matter, he should have experience working with children your child's age. If your child has a learning disability, the tutor should be trained to identify and work with youngsters with this specific problem. A skilled tutor does more than simply check over homework. She will assess your child's strengths and weaknesses, prepare individualized lessons, and use hands-on materials wherever possible. She should also consult and work with your child's classroom teacher. Finally, she should offer positive reinforcement so your child feels good about himself and his efforts. Ask if the tutor gives additional homework besides your child's regular classroom work as well as how she evaluates progress. Does she use standardized tests or other forms of evaluation? How often? Most tutoring relationships last several months to a year (meeting once or twice a week). Don't wait that long before asking for feedback. Talk to your child and the tutor after every session. Does she enjoy the sessions? Are her grades improving? Does she have more confidence with the subject matter? Is she feeling better about school in general? This informal observation, combined with her teacher's input, will help you determine if the relationship is working. And if it's not? It can take several months for a child's performance to improve, but if you sense something is not working, don't be shy about discussing your concerns with the tutor. If he's not responsive, find someone new. Parents are part of the tutoring equation. Your involvement is necessary to make it work. Make sure the tutor has the phone number or email address of your child's teacher, a copy of the textbook and curriculum she's using (request this from the teacher or guidance counselor), and your child's past tests so he can see areas of weakness. Finally, be sure to reinforce skills at home. Ask the tutor for suggestions, look for ways to fit in real-world practice (cooking together is great for both math and reading), and don't forget to share books and stories often. How many different verb tenses are there in a language like English? At first, the answer seems obvious — there’s past, present, and future. But it isn't quite that simple. Anna Ananichuk explains how thanks to something called grammatical aspect, each of those time periods actually divides further. Lesson by Anna Ananichuk, directed by Luke Rotzler. We all want our children to do well in school, but sometimes – despite our best efforts – they just need a little extra help. Teach kids that what they say and do matters. November is a time for preparing for the holidays and giving thanks, but it’s also a time for using our voices. It’s a time to set an example by using our voice for good and encouraging our kids to do the same. 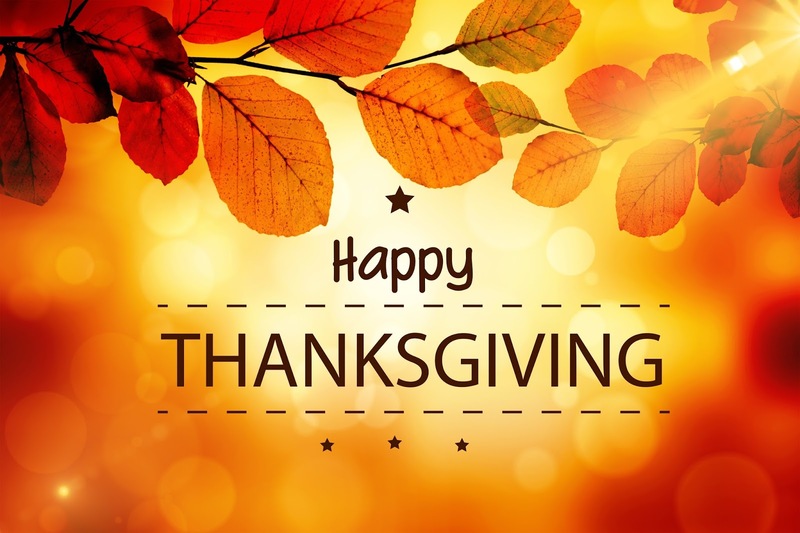 As parents, we can be the example for our children in the ways we focus on supporting giving campaigns, donating to meaningful causes, or expressing our thanks for all we have. 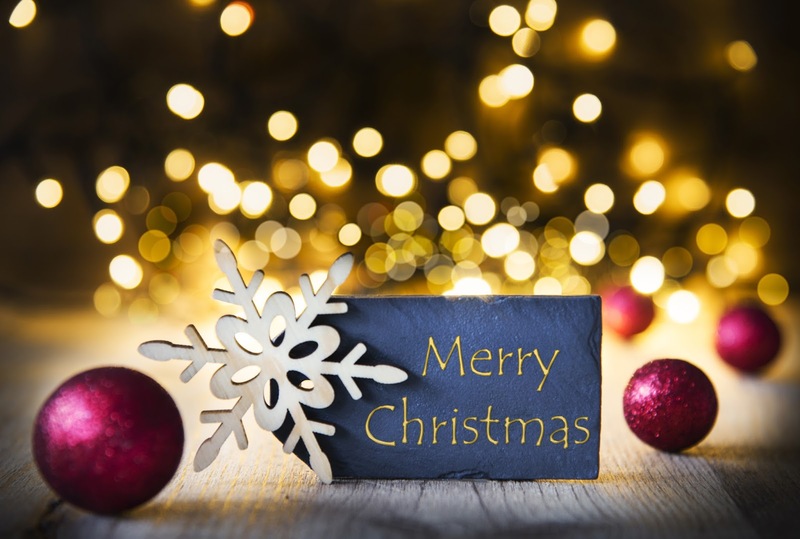 It can really be exciting to watch our children follow our lead, especially when holiday sales, promotions, and items saturate store shelves and advertisements at this time of the year. Choosing one cause and empowering children to get involved alongside us is one step that we, as parents, can take. When our children realize how good it feels to give to others, there’s no telling how far they will take it. • Having a conversation with a friend about an important cause. It’s really about having our kids learn about giving themselves and then encouraging others to join them. 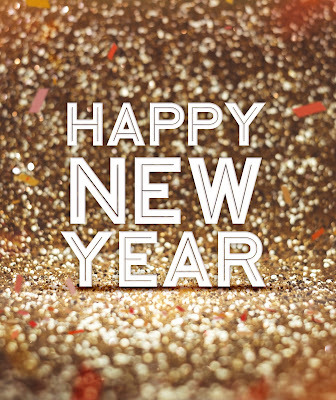 The more, the merrier—especially when it comes to giving back to the community and world around us! Sometimes, just sharing stories about other children who have used their voices is impetus enough for our kids to speak up. How Great Can the Benefits of Tutoring Be? Why tutoring? How great can the benefits be? If your child struggles to read, try these suggestions. Editor's note: This blog post was originally published July 24, 2014. No parent wants to hear, "Mom, I hate reading." But in all likelihood, at some point, many of us will hear it from one of our children. A few months ago, my son told me, "Reading is just something I am good at, not something I like." I am pretty sure the sound of my heart breaking could have been heard from miles away. What are our kids really saying when they tell us they hate reading? Yes, reading is tough. Reading the wrong material is even tougher. As parents, if this is what your child means when he says he hates reading, your job is to find the right level of material for him to read. It's hard to ask for help, and children want to please their parents. Reading is something children see adults do easily, and they may feel ashamed to tell their parents they can't do it. It's simpler to refuse to do it because they hate it than to say, "I can't." It may be confidence, it may be some letter sounds that they need to practice, or it may be something much deeper than that. If you suspect your child may have a learning disability that is hampering her reading, talk to your child's teacher or pediatrician who can point you towards the proper local agency to have her tested. In college, I had a textbook that was so boring I had to sit on the floor with my back against a cinderblock wall so that when I nodded off I would hit my head against the wall and wake up. Sometimes reading is boring, but it doesn't have to be for our kids...not yet, anyway. Ask him what makes it boring. As a team, take time to find him the right things to read. Maybe you skip the novels and dive into comic books, or forget fiction and read books filled with facts. Make it your mission to find interesting things for him to read. 4. I'd rather be outside/online/at a friend's house. Sometimes it's a matter of shifting schedules to get kids to read for fun. No one thinks that something is fun when they are forced to do it. "Stop bothering your sister, go up to your room, and read!" doesn't sound like a treat. Staying up "past" her bedtime to read is a wonderful way to get reading in without making it compete with other activities. More than one voracious reader was created between being tucked in and lights out. As parents we need to open up our minds to what a child who is reading looks like. Reading for many of us means reading a novel, but children can read so many other things. Before we decide that our kids really do hate reading, take time to see if what they are saying is: It's hard, I'm struggling, I'm bored, or I'd rather be outside. So, what was my son saying when he told me he hated reading? "I'm bored of these early chapter book mysteries." I sat back and thought about what I was offering him to read and we switched it up together. Books full of wacky facts, Pokemon reference books, and sports magazines are his favorite things to read now, and I haven't heard a peep about him hating to read since! Lesson by John David Walters, directed by Chris Bishop. Here are some tips for making trick-or-treating safe. Having trouble getting your child excited about reading? Try these creative ideas to keep your elementary reader turning the pages of a good book. After coming home from school, your elementary-aged children will undoubtedly spend time completing their daily reading homework. For some kids, their reading may end there. Yet as parents a great goal is making reading a fun activity beyond school assignments. That’s why we asked our Scholastic Parents Facebook audience for suggestions on how their families encourage reading for fun throughout the school year. Check out their tips -- which may not only inspire some new ideas, but also remind you how you can bond as a family through reading. 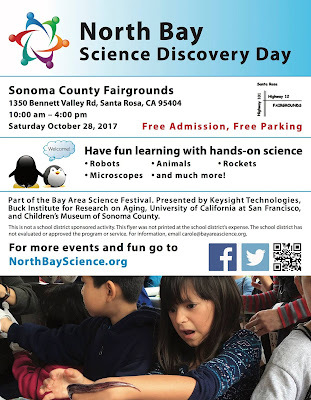 North Bay Science Discovery Day is Saturday, October 28! The North Bay Science Discovery Day is a free annual event designed to inspire children (Grades 4-8) to pursue STEM (science, technology, engineering, and math) careers. Last year, over 14,000 people attended Discovery Day at Sonoma County Fairgrounds in Santa Rosa. The event has free admission, free parking and an incredible array of fun, interactive exhibits with hands-on games and experiments including robotics, animals, microbes, DNA and much more. 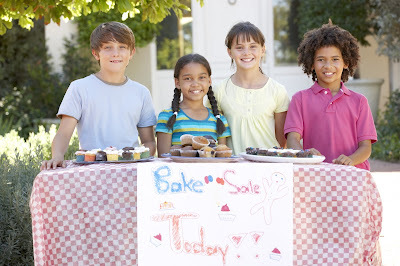 Our exhibitors are not allowed to sell any items as we want this to be an event that ALL children can enjoy equally. Our event will be held this year on Saturday, October 28, 2017 from 10:00-4:00 PM at the Sonoma County Fairgrounds. Over the course of history, we’ve discovered hundreds of thousands of asteroids. But how do astronomers discover these bits of rock and metal? How many have they found? And how do they tell asteroids apart? Carrie Nugent shares the story of the very first asteroid ever discovered and explains how asteroid hunters search for these celestial bodies. Lesson by Carrie Nugent, directed by TED-Ed, animation by Reza Riahi. Explore these accessible ways you can help make a difference at your child's school — beyond the PTA. As a former classroom teacher and school administrator, I witnessed firsthand the huge impact that family involvement has on school culture and home life. Being involved in your child's school sends a message to the school that you are there to support the staff and that you are a team player. It also sends a message to your own family that you value the school and it's an important part of your life. There are many ways to get involved with your child's school. If you work during the day and can't get to the school, there are even ways to support the school outside of the school day. 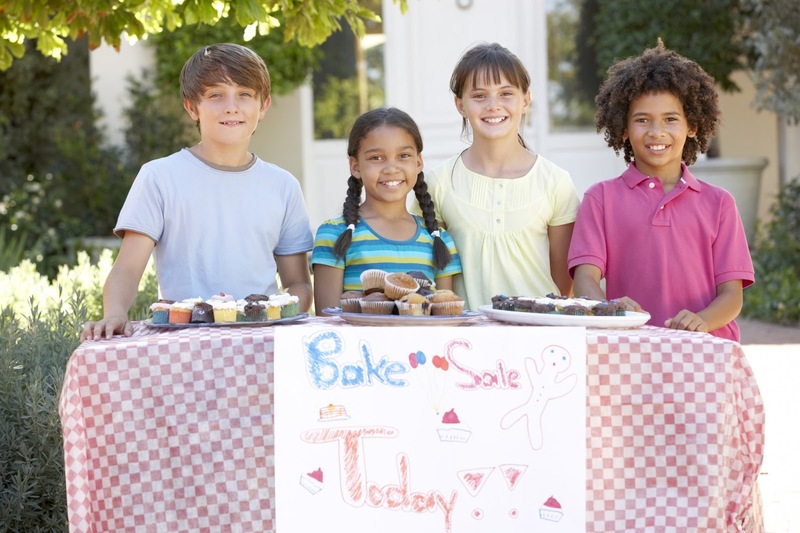 You might be familiar with the idea of a PTO or PTA group, chaperoning a field trip, or participating in fundraisers benefiting the school. But, there are even more ways you can be involved. Below are some other ideas that might resonate with you. It is such a treat for a child when a family member comes to school to read to the class. Your child's favorite book, a new release that you can leave behind for the class, or a book from your own childhood are all great reading choices. If you can't make it into the classroom to read, try using a video conferencing tool such as Skype, Hangouts, or FaceTime to connect with the class and share a story. As a teacher, I spent many nights in front of the television cutting out laminated materials, collating packets of work, or stapling paper together to make blank books for my students to create stories. Ask your child's teacher if there's any prep work you can help do from home. Or, you can visit the classroom and help prepare materials needed to make your child's day full of learning opportunities and experiences. Put your career or job skills to use for the school. If you're a graphic designer, help out with a school flyer. A florist could donate or offer discounted flowers for the graduation ceremony. A restaurant worker might lend serving dishes and utensils for a teacher appreciation luncheon. Share your talents or expertise with the teachers. Everyone has something that could be beneficial in a school environment. I've had a musician parent share songs with students, a dentist parent provided toothbrushes, a mom who worked at McDonald's had her manager donate gift certificates to the school, and a dad built planters for an edible garden in the schoolyard. What are the skills or talents you can share? One of the simplest but most powerful things you can do to support the school is to be its advocate. Talk to other parents and encourage them to attend school events. Encourage families who are unhappy about a situation at school to talk to those involved. Call the school when you have a question or concern. Working together is more productive than anything else you can do. To get started with any of these ideas, send a note or make a phone call to your child's teacher. Chances are the teacher will be thrilled to hear from you and happy to work around your schedule. Your child's school and your family will be rewarded through these involvement experiences. Plus, your message that school is important to your family will ring loud and clear to both your child and the school. Should You Use a Private Tutoring Service? 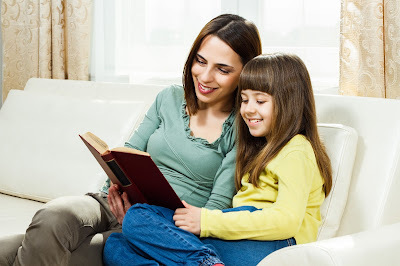 Hiring a private tutor is really based on the evaluation of either one or both parents. Before settling for spending the money on a tutor, consider the significance of good grades as well as your child's ability to obtain those grades. Be sure your child agrees with it as well, in order to get the most benefit from the time and money spent on a tutor. Private tutors offers help for homework, present test taking strategies and assist strengthen areas where your child is showing weakness. By concentrating on whatever area, which is often the cause of having poor grades, you will most likely see improvement after just a brief period of time. Factors that your child may need a tutor to help with grades include motivation, learning style and test taking skills. Although costly, hiring a tutor may kick your child into focus and address the condition of a child who is just not trying. This particular can be a temporary solution though, since lack of motivation may suggest much more problem. While focusing on the short term objective of improving grades, try to identify the root of the problems as well. Your child may have a learning style different to what the teacher is concentrating on. A private tutor can teach and explain the same information in an alternative way, enabling your child to learn the information more effectively. Normally a child understands the information, but has issues performing well on a test. A tutor can spend some time to concentrate particularly on these test-taking skills which will allow a child improve test results. Your child will be trained to stay focused during the test day and get better in information recall. In case your child has a learning disability or is otherwise not capable of doing better, a tutor can provide further assistance. Alternatively, if your child is much smarter than his grades show, a private tutor can help persuade these students to try and do much better. Employing a private tutoring service to help your child can be beneficial both your child's report card and self-esteem, making it possible for him to realize his hard work may lead to getting better grades. Now, keep in mind that hiring a tutor is a personal decision, same thing with choosing the right tutor for your child. Regardless of whether you hire a private tutor, get your child enrolled in an after school review group, or begin going to a commercial learning center, the decision has to be weighed considering your child's preferences. Lesson by Rusha Modi, animation by Black Powder Design. Know when to step in and when to back off. The contest to create the best visual often prompts many parents to get overly involved in their kids' school projects. But teachers say that by doing so, parents are missing the big picture. The ultimate goal isn't how beautiful the project is; it's the lesson the kids ultimately learn about taking the necessary steps — from research to presentation — to reach the end result. Questioning helps your child define the assignment. Is this historical figure's early life important? Does it make him who he became? What are the five most important events in this time period? What was the turning point in the war? Why would you recommend this book? What character made the most powerful impact? Help your child set goals and create deadlines. For example, by the end of a certain week, complete all your research. Then create a timeline the following week. Many kids bite off more than they can chew. Suggest that your child spend the first few days absorbing information and reading about his subject before figuring out what the important elements are. It might be a spot near the computer or a place she can leave out her books or the work in progress. Having a designated space eliminates the need to gather together materials. It also serves as a constant reminder that the work has to get done. If typing is frustrating your child, it's okay to do it for him. Just don't work on the project without him. After the project's done, discuss the process. Talk about whether you had enough time and what you would do differently in the future. 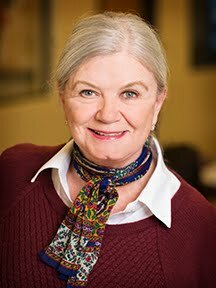 Education expert Ann Dolin discusses how to know when your student needs the help of a tutor. Lesson by Amber L. Stuver, animation by Eoin Duffy. Children with vision problems have frequent headaches, have a hard time reading, often sit right in front of the TV, and in school can barely see the blackboard. Vision problems can keep a child from excelling in school. Correcting vision problems can make a world of difference in your child’s academic performance. If your child has a learning disability, they may have trouble remembering things, may be socially isolated, have trouble following directions, may be anxious, and sometimes violent. The most common learning disabilities are ADHD and dyslexia..
Not being socially accepted in school can damage a child’s self esteem. Problems at home such as abusive parents, absent parents, a divorce, death in the family can negatively influence a child’s performance in school. Many children will keep what is bothering them to themselves. Even if they don’t say anything, they are well aware of what is happening at home. If you’re having a stressful situation at home, talk to your child about their concerns and most importantly listen. Highly intelligent children who are always ahead of in class assignments may have a hard time staying focused due to their boredom. Kids start to lose interest in learning if they are not being academically challenged. Seeking the help of a professional tutor will help your child become interested in learning again by introducing him to new concepts that will intellectually stimulate his mind. There are over 170,000 words currently in use in the English language. Yet every year, about a thousand new words are added to the Oxford English Dictionary. Where do they come from, and how do they make it into our everyday lives? Marcel Danesi explains how new words enter a language. Lesson by Marcel Danesi, animation by TOGETHER. When trying to find a tutor for your student, you are bombarded by an astonishing number of choices. Evaluating some of the value a tutoring company provides over an individual.will illustrate that a tutoring company offers many advantages. 1.) Fit with the Student: A tutoring company has a variety of tutors. This allows them to match your student to a tutor who has the necessary subject knowledge, tutoring experience, and a complementary personality to the student. A personal connection is a very important, often overlooked key to a successful tutor/student relationship. Having many different tutors allows a company to provide your student with tutors in different subjects and to be flexible with your scheduled sessions. 2.) Quality: A tutor has to go through a number of steps to gain employment with a good tutoring company. At The Way to A, tutors submit resumes. We interview the most promising of these candidates; then we call personal and professional references of the best tutors we interviewed. If they are highly recommended, we perform criminal background checks on each prospective tutor. If the background check is clear, we bring in the tutor for an orientation and example tutoring session. Each tutor must demonstrate the ability to tutor effectively at the interview level and the orientation level before they will actually be placed with a student. When you hire an individual tutor, you have 2 options: you can do all of that yourself, or you can risk it. 3.) Professionalism: A tutoring company has established methods of doing business. Companies have systems of invoicing their customers and paying their tutors. This allows the tutor to focus on what they do best: teaching. Additionally, tutoring companies have a code of conduct and a level of professional behavior they expect from their tutors. 4.) Reliability: Unexpected things happen to people. People move, retire, get sick, etc. If you are working with a tutoring company, they have another tutor that they can pair with your student to make sure that the test is still studied for, even though the regular tutor is sick. If a tutor moves away, the company can provide a new tutor and already be familiar with the situation, as opposed to you trying to find a new individual on your own. 5.) Accountability: Tutoring companies have invested in their reputation. Their tutors work with multiple students, not just yours. They are known entities in the community. A tutoring company has more to lose and consequently more motivation to make you happy by going above and beyond to give you and your student a great experience. More parents today see tutoring as a natural add-on to their child's classroom learning. They realize even top schools can't focus individually on their child. And with private lessons in athletics and music so common, a private tutor for math, science or other subjects often makes good sense. Here are common times when hiring a tutor for your child is smart. Your child is struggling in a subject or two. If algebra class is 50 minutes but your son needs 60 minutes to learn the concept, he's going to fall behind in algebra and get discouraged. A math tutor will help the child who needs a little extra time. Tutors also re-teach past concepts and answer questions that kids are reluctant to ask in class. Tutors are expert in helping kids regain the motivation and confidence to succeed in math, science, writing, Spanish, or other classes. Your child would benefit from homework and organization help. Parents often seek a tutor for their child who isn't naturally organized. Some kids just need more supervision to get all their homework done to a high level. A 60-minute nightly tutoring session will nudge apathetic or scattered kids to work to their potential. Tutors will help kids manage due dates, get kids un-stuck by clarifying ideas or answering questions, and quality-check homework assignments. Your child wants to achieve a goal or fulfill a hope. Some families have a specific goal in mind when they start with a tutor. They want to raise a C to an A in calculus, or boost an SAT score 150 points. Other families have more abstract goals. They wish their child liked school more, or sympathize with a child who is trying hard but seeing only mediocre results. A tutor will listen to your hopes, and create a plan to help your child succeed. You feel your child can improve study skills and test taking. Many kids study the same way each year. But what works in 5th grade isn't enough in 7th grade. And the big leap from junior high to high school demands an upgrade in study skills. Kids with lagging study skills benefit immediately from a tutor who helps them increase homework time, pay attention to details, prepare for tests, and read more thoughtfully. A tutor can also ease test anxiety by teaching test-taking skills. You hope to side-step a bad family dynamic, or provide stability. By the teenage years, kids often will listen to any adult other than their parents. If that's the case, it's better for the child's grades (and family happiness) to bring in a tutor and remove the parent-child dynamic from the picture. Tutors understand teens and how to motivate them. And with younger children, parents can be too involved - doing all the homework themselves. A tutor gently returns responsibility to the child, while still providing consistency and support. You have discovered your child likes to be tutored. Parents often hire a tutor for a quick fix - usually to help their child bring up a grade in a tough class. But they'll continue with tutoring for years because their child really likes it. The one-on-one sessions help kids master even the hardest material, and signal that the family prioritizes their school success. Kids look forward to bringing home great test results, and to having undivided attention as they work on school assignments. With today's school cutbacks, it's likely that more parents will try a private tutor and discover the benefits. Tutors are a smart way to ensure your children get the top education they need and deserve for later success in college and life. What do Euclid, 12-year-old Einstein, and American President James Garfield have in common? They all came up with elegant proofs for the famous Pythagorean theorem, one of the most fundamental rules of geometry and the basis for practical applications like constructing stable buildings and triangulating GPS coordinates. Betty Fei details these three famous proofs. Lesson by Betty Fei, animation by Nick Hilditch. 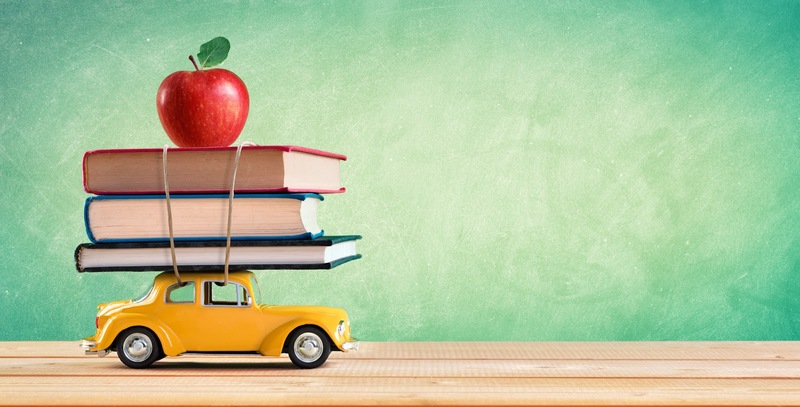 When it comes to getting your child off to a new school year, parents can be learning heroes. In addition to getting backpacks and school gear ready, this is a great time to get a clear sense of how to support learning at home throughout the year. Knowing your child’s interests, habits, and personality means that you have a head start and can help make learning fun and enjoyable throughout the year. Yet, for parents to successfully support their child, they also need an accurate picture of their child’s achievement level. Learning Heroes’ newly released national survey Parents 2017: Unleashing Their Power and Potential shows that nine in ten K-8 parents report their child as at or above grade level in both reading and math, two in three consider their child “above average,” and three in five are confident their child will be prepared for success in college. But national data tell a different story. For example, 2015 National Assessment of Education Progress (NAEP) data demonstrates that barely one-third of students perform at grade level. To help parents get a full picture of how their child is progressing and start the school year strong, Learning Heroes created the Super 5: Back-to-School Power Moves, which includes the below 5 tips as well as free, easy-to-use resources and videos from National PTA, Scholastic, and many other trusted organizations. Start Strong. As part of your back-to-school routine, find out how prepared your child is for his or her new grade. Pay attention to how easy or hard it is for your child to perform grade-level tasks, and review the annual state test results from last year. If you haven’t received the results yet, ask your child’s teacher. Compare this information to see where your child is doing well and where more support is needed. school year and why, and let the teacher know. Make it fun! You are the expert on your child and can help make learning cool! Read together to discover topics that interest your child. Find math problems in everyday life and turn it into a game. 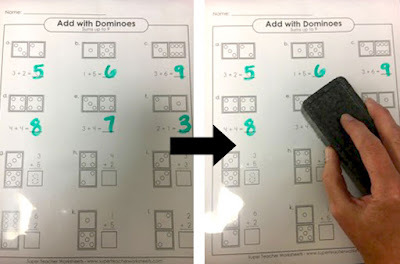 Practice subtraction, measuring, and division when cooking together or while grocery shopping. These small learning moments add up to a lot! Celebrate hard work. Our attitudes about learning–called “mindsets”–impact how our children learn, how they feel about making mistakes, and their self-confidence. Promote a “growth mindset” at home to help your child see that hard work is what leads to success. For example, focus on the specific effort and what your child is learning. This will help your child feel less nervous about new tasks or subjects. Encourage life skills along the way. When it comes to your child’s potential and happiness, focus on the whole picture! Strengths like being able to communicate, problem-solve, show patience, and act independently will help your child in school and life. Talk openly with your child about how he or she is feeling and reacting to situations at school, on the playground, and at home. For more back-to-school resources and activities (in English and Spanish) to help your child succeed this year, visit bealearninghero.org. You can also get and share tips with other parents using #bealearninghero. Lesson by Kim Preshoff, animation by Juan M. Urbina Studios. 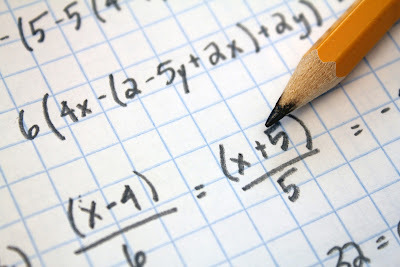 A math tutor is a teacher or expert who specifically teaches an individual about mathematical solutions and subjects. There are many different levels in tutoring. Some children in elementary and high school need tutorials in this subject because the lessons taught are becoming more and more complex. On the other hand, there are quite a number of students who do not fully understand what their teacher is teaching them in the classroom. Due to the pace that some teachers teach, not all students are able to easily grasp the concepts that are taught in each mathematical lesson. While the teacher can entertain questions from the students about the aspects of the subject that may confuse them, there is a limited amount of time allotted for this particular topic every day. There are several benefits to getting a math tutor for a child, no matter the age or grade level. 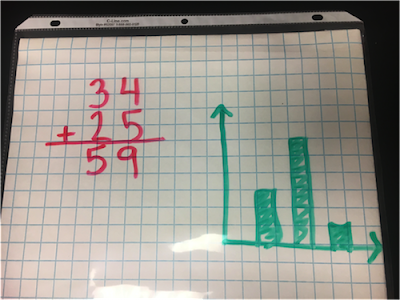 Elementary students and high school students benefit from tutorials because they can keep up with the pace that their teacher has set for the entire class. It is a good way to keep your child up-to-date with what is being taught in school. Another advantage in hiring a tutor is the confidence that the child develops when he or she understands what is being taught. It can not only undermine a kid's confidence when he or she has trouble grasping the concept being taught, but it can also make him or her shy with the other kids who actually understood the lesson. 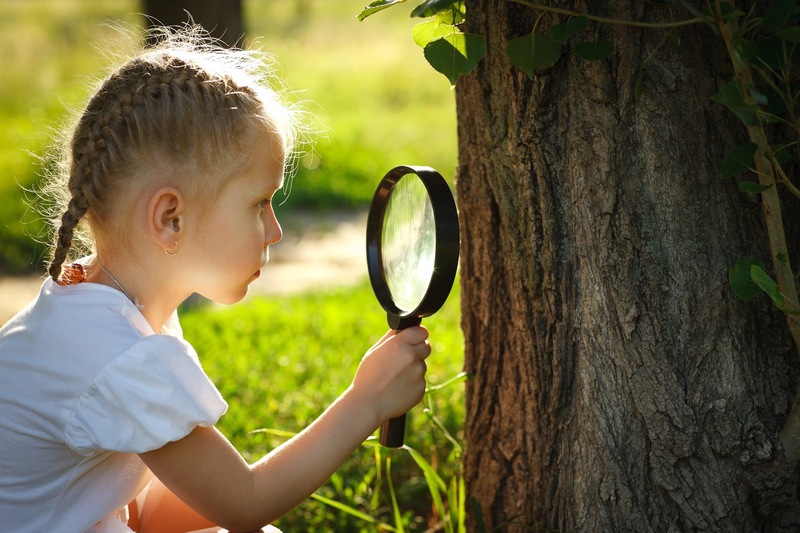 Once the child loses the confusion that they have experienced initially, the awareness that they have finally understood it can be so heartwarming and enlightening to the child. Another advantage that comes with hiring a math tutor is the one-on-one attention that the teacher can dedicate to the individual. Educators in schools make an effort to help their students understand the lessons they teach, but there is a lack of time and attention that they can dedicate to each student due to time constraints and the number of individuals in the class. Tutorial sessions are very advantageous because they are individualized and the specific needs of the student are addressed. Another benefit that is gained from the presence of a math tutor is the specialization that the teacher has for the subject. In order to be successful, tutors need to see the curriculum that the child will be taught and they also need to see the homework and lessons that the school teacher has given the child for the day or for the week. Mathematics is a highly specialized subject that needs understanding and expertise. Professors or tutors on this subject are usually those who have particular knowledge of this subject while they were in school. Hiring a math tutor has many different advantages, other than those listed above. Parents will be able to see the additional benefits after their child manifests positive results from the lessons received from these study aids. Lesson by Valentin Hammoudi, animation by Juan M. Urbina Studios. The new school year is a great time to implement daily practices to further your child's literacy skills. Very soon we'll be trading in the sound of the ice cream truck bell for the sound of the school bell. The start of a new school year is right around the corner. With the season comes the opportunity to put in place some back-to-school habits that can help your children build their literacy skills. Here are four practical ideas to help your family kick-off the school year. Many schools request children to read at home several times a week. Even if the school does not require daily reading, it's still one of the best habits to put in place at home. Keeping a reading log will help your kids track the books they read. When your kids can look back and see how many books they read each month, it provides a sense of accomplishment. Writing down the titles or minutes read each day will also give your child a little extra handwriting practice. They might even give each book a star rating system and critique each book that is read. A weekly or bi-weekly trip to the public library will ensure that you have plenty of reading material on hand. The 6th Edition Scholastic Kids & Family Reading Report shows a majority of kids agree “it is very important for their future to be a good reader,” but only one in three is a frequent reader. So, don't forget to let your kids choose their own books for reading at home. In our house, we follow a "triple B" nighttime routine: bath, books, and bed. Need some read-aloud ideas? Check out these books parents love to read to their kids. Tell us something you learned today. Share something that you were proud of today. What is something that you wished didn't happen today? Using the prompts above will help you learn about what successes and struggles your kids experienced during the day. The last prompt will help your child think ahead to a new day. For more activities to help build literacy skills at the table, see how to practice storytelling with kids at dinnertime and three ways to build vocabulary at dinner. If you know that Wednesday nights are soccer practice and Thursday nights are piano lessons, plan ahead to squeeze in literacy learning. Your kids can listen to audiobooks in the car on the way to practice. Start with these five awesome audiobooks. Or, you can quiz your kids on their spelling words while you drive. If you still have a few minutes, ask your kids to tell you about the last book they read. Putting a few habits in place now will have you feeling prepared and confident when the school bell rings. To learn more helpful tips for success, get great book recommendations, and find out what to expect for each grade, check out the Start Smart: Back-to-School Guide. Cell membranes are structures of contradictions. These oily films are hundreds of times thinner than a strand of spider silk, yet strong enough to protect the delicate contents of life: the cell’s watery cytoplasm, genetic material, organelles, and all the molecules it needs to survive. How does the membrane work, and where does that strength come from? Nazzy Pakpour investigates. Lesson by Nazzy Pakpour, animation by Zedem Media.